Happy April! I look forward to this month because this is the month when schools close (at least on the East Coast) for spring break. We are taking a much needed family vacation – but aren’t they always needed? Getting away during school break is something the entire family gets excited about, but this year we are counting the days! It feels like it has been the longest, coldest winter EVER. We are so ready for sunshine and warm weather! Before I get too ahead of myself, I want to make sure that my list of pre-vacation essentials is completed. 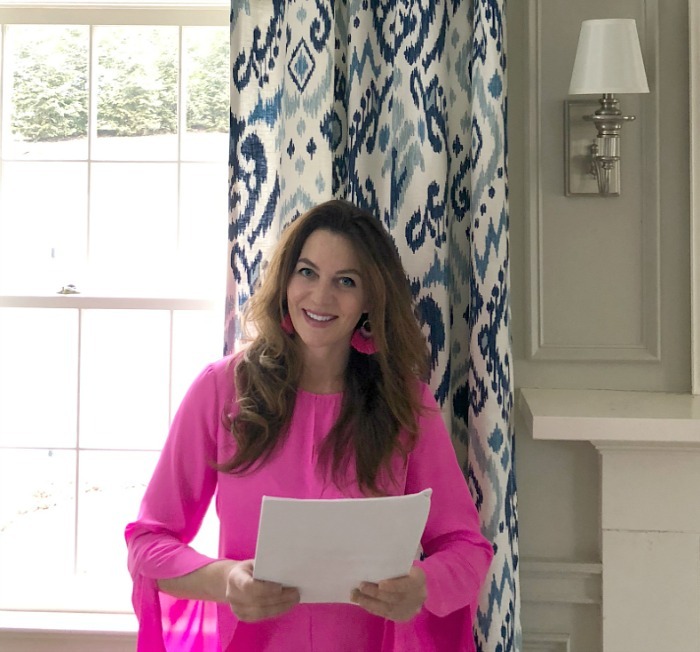 It might sound silly to make a list, but it keeps me organized and feeling happy. We’re going to be gone for a week and I have a decent list of things to take care of. There are four people to pack for, a fish (named Strawberry) to plan for, mail /packages to be held, garbage and recycling bins to be tended to, a refrigerator to clean out, etc. It didn’t seem like a lot until I actually typed everything out. I thought that if it was helpful for me, it might be for you as well. 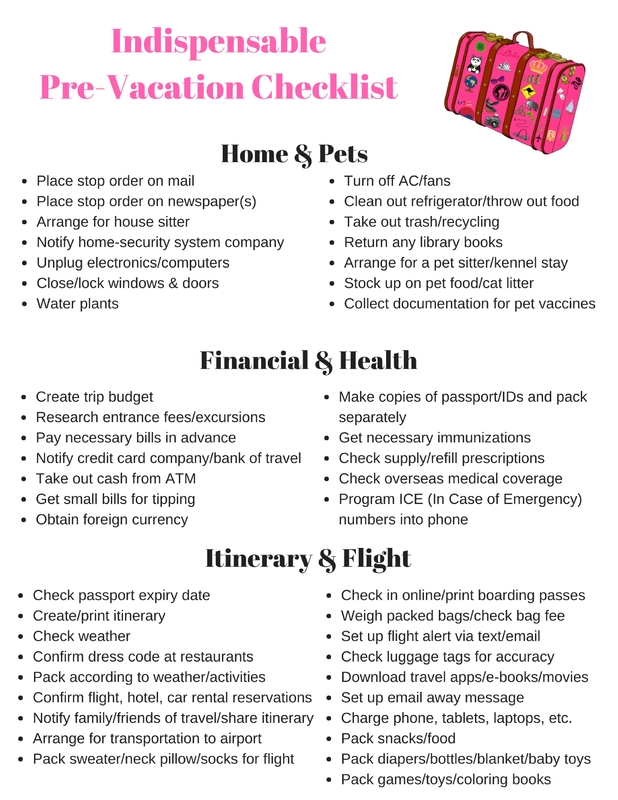 I want to share my free printable pre-vacation checklist with you. Even though we are not leaving for a while, I have already printed this off and it’s on the kitchen counter as a daily reminder of my to dos. I do not want to wait until the last moment to find out that my kiddos have outgrown their swimsuits! I also added some items that don’t personally pertain to this trip (i.e. we don’t need to bring our passports this time) but might come in useful for you. Below is the list, just click on the .pdf file at the very end and print it out! I hope you find it helpful. Happy travels!